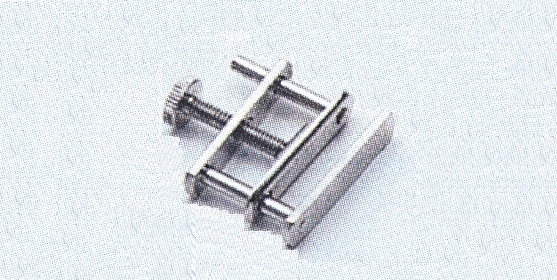 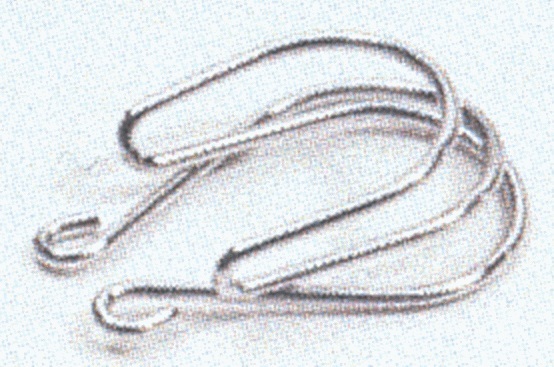 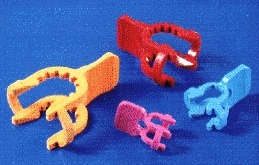 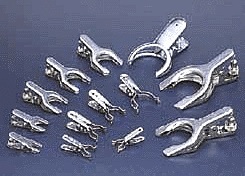 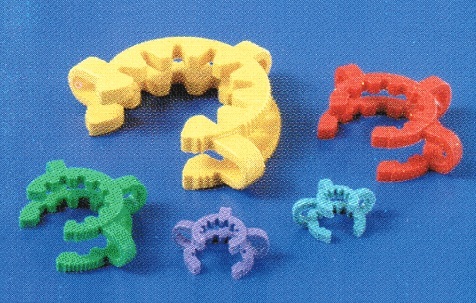 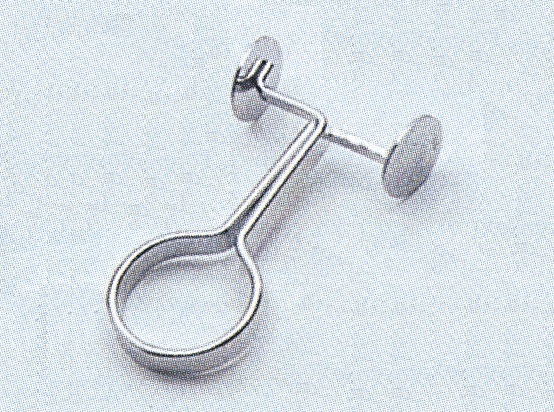 A wide variety of laboratory clamps and clips including automatic spring clamps, ball and socket joint clamps, beaker clamps, burette clamps, closed Hoffman clamps, condenser clamps, conical joint clamps, cork protected jaw clamps, dual open and closed Hoffman clamps, girofix clamps, giromax clamps, ground round joint clips, keck clips, maxim clamps, medimax clamps, minimax clamps, Mohr clamps, open Hoffman clamps, pinch clamps, plastic clamps, round joint clamps, spring clamps, stainless steel clamps, swivel jaw clamps, taper joint clamps, thermometer clamps, trips jaw style clamps, tube clamps and universal clamps. 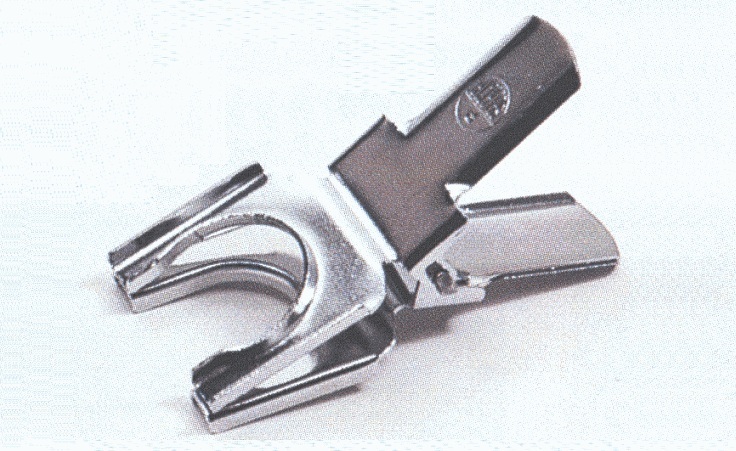 7000521	 Burette Clamp Trips, triplex style jaws, made of chrome plated metal for diameters from 4 to 20 mm, usable length 210 mm. 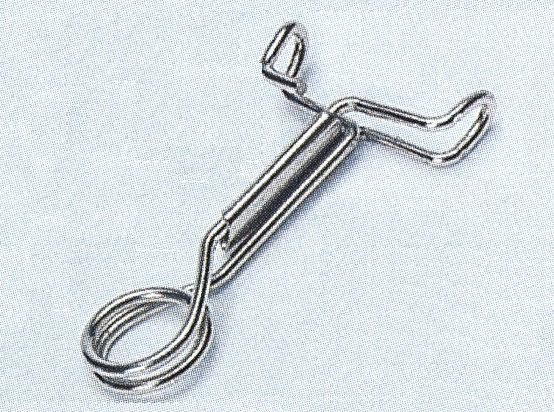 7000025	 Burette and Thermometer Automatic Spring Clamp, made of chrome plated metal, with spring clamp jaw, for diameters from 0 to 25 mm, usable length 155 mm. 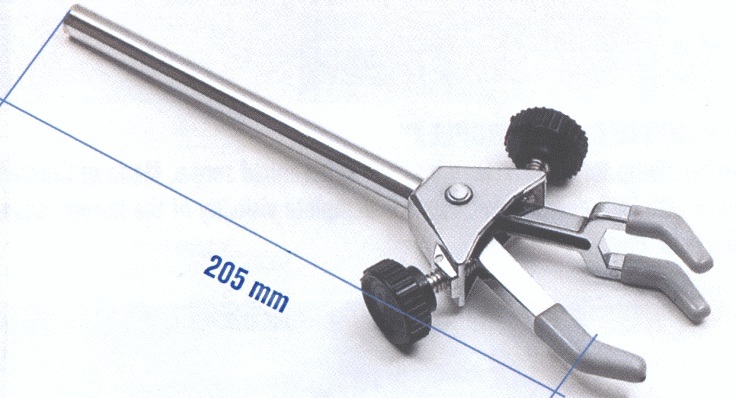 7000130	 Burette and Tube clamp, made of chrome plated metal with two prong jaws coated with PVC, for diameters from 7 to 25 mm, usable length 210 mm. 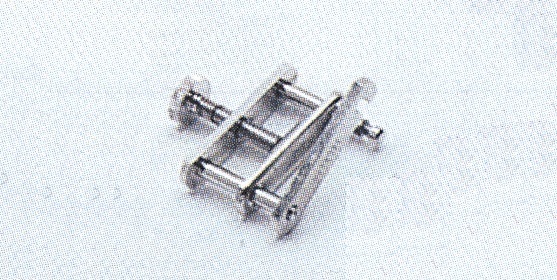 7000131	 Burette and Condenser clamp, made of chrome plated metal with two jaws coated with PVC, for diameters from 12 to 45 mm, usable length 210 mm. 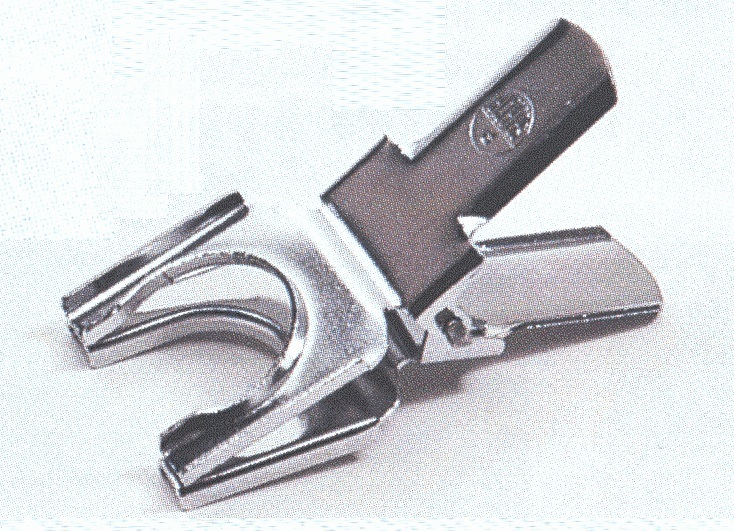 7000160	 Triplex style clamp, three prongs coated with PVC, made of chrome plated metal, for diameters from 0 to 35 mm, usable length 205 mm. 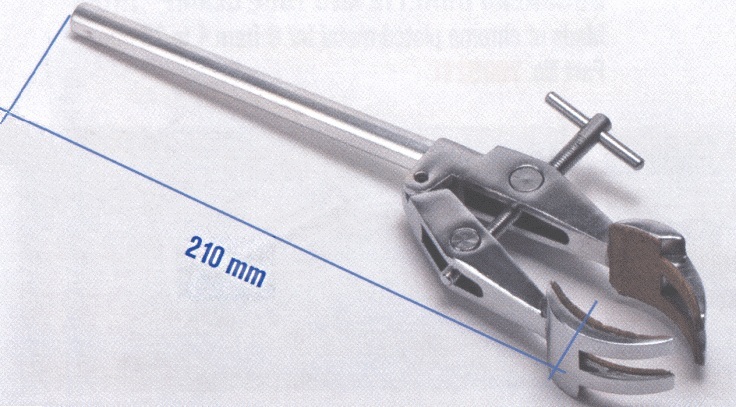 1001463	 Universal clamp Minimax chrom, made of chrome plated metal with cork protected jaws, for diameters from 0 to 80 mm, usable length 210 mm. 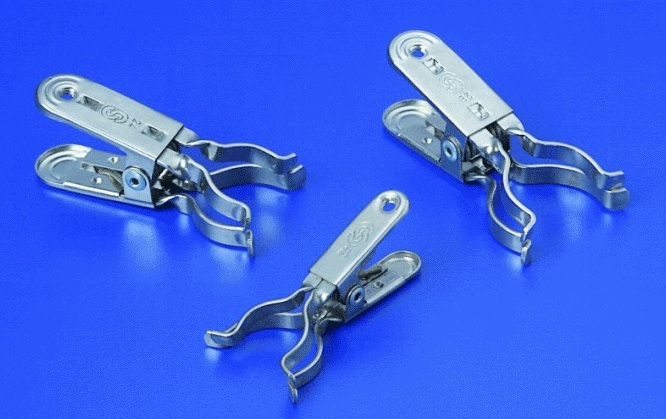 7000403	 Universal clamp Minimax, made of aluminum alloy with cork protected jaws, for diameters from 0 to 80 mm, usable length 210 mm. 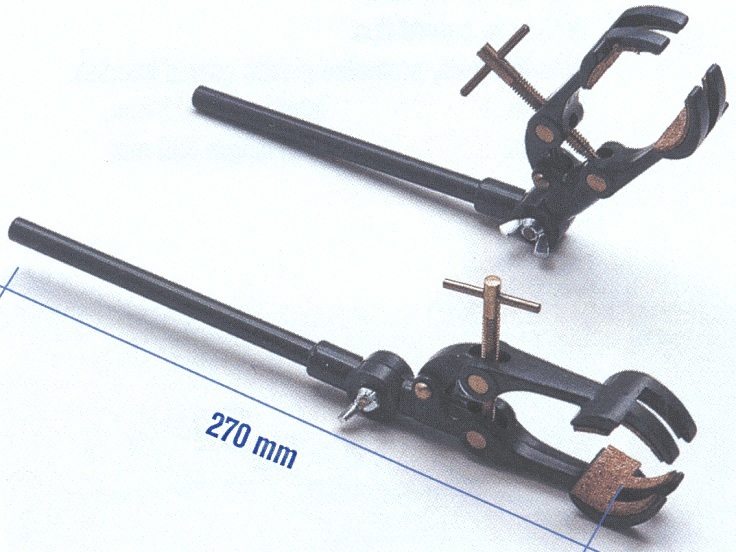 7004031	 Universal clamp Giromax, with 180° angle hinge cork protected jaws, for diameters from 0 to 80 mm, usable length 270 mm. 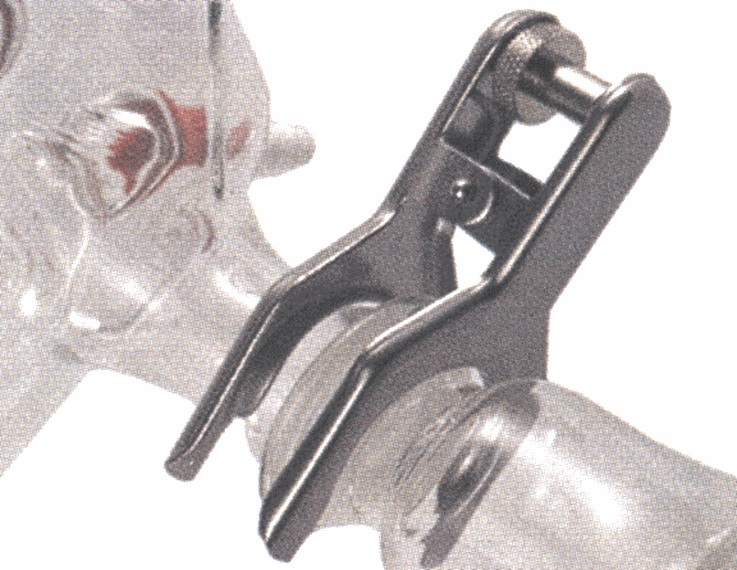 7000406	 Beaker clamp Maxim, made of chrome plated metal with clamp end covered with stabilized glass fiber, for diameters from 80 to 180 mm, usable length 370 mm. 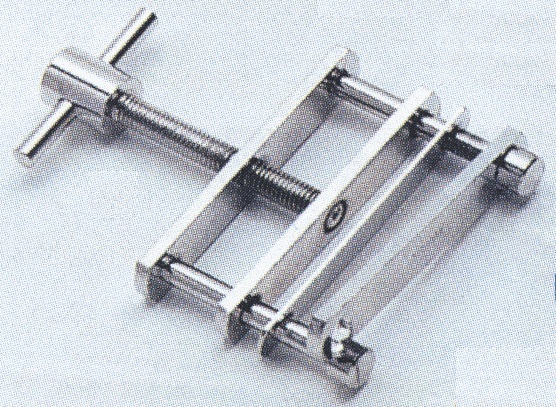 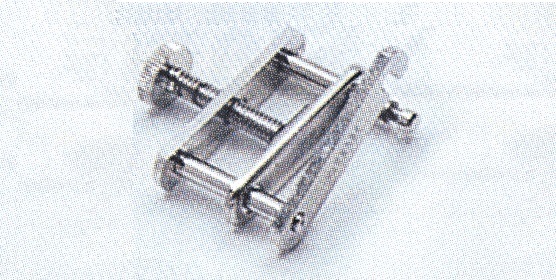 7000405	 Clamp Medimax, with chain and spring clamp made of AISI 304 stainless steel, for diameters from 90 to 145 mm, usable length 200 mm.